Reviewing The Eccentric Core turned out to be more difficult than I had initially guessed. The quality of the essays is extraordinarily high, and they cover quite a range of texts: Genesis, both of Homer’s epics, Hesiod, Herodotus, Parmenides, seven or eight Platonic dialogues, a few of Aristotle’s treatises, Roman imperial literature, and probably some other material that I don’t recall right now (Sophocles comes to mind, now that I think of it). It doesn’t help that these essays all concern the labyrinthine books and essays of Seth Benardete. To do this volume justice, I felt that I had to convey the point of each essay as well as the plan of the volume as a whole—especially since this book, more so than others of its kind, seemed to me to be organized according to a plan. I think I’ve accomplished that. Though the review comes in just shy of 8500 words, I think those interested in Benardete but unsure where (or whether) to start will find it a good point of entry. I encourage them to buy The Eccentric Core, too, as it is an invaluable contribution to understanding Benardete’s work. Fittingly, too, the volume ends with three brief, previously unpublished essays by Benardete, each of which is a snapshot of one of his books. I think they set the stage for reading these longer works, in addition to his other essays. I’ve included the introduction to my review below. But you can also just download the whole thing here. The Eccentric Core is an eclectic collection of writings having to do with the late classicist and philosopher Seth Benardete (1930–2001). Its editors do not explain the order of its chapters, but one readily discerns it. The volume has two main parts: writings about (chaps. 1–27) and writings by (chaps. 28–30) Seth Benardete. The first main part also admits of a division: Harvey Mansfield’s short memorial essay on Benardete’s life (chap. 1) and writings on Benardete’s works and thought (chaps. 2–27). The second of these parts is clearly divided in two: essays on Benardete’s interpretation of the development of biblical, Greek, and Roman thought, on one hand (chaps. 2–13), and book reviews chronicling his own development as a thinker, on the other (chaps. 14–27). These are the two main arcs of the volume. Both proceed chronologically: the first arc is arranged according to the date of the text or thinker discussed, while the second is arranged according to the date of the original appearance of the work under review. The first thus gives us Benardete’s history of philosophy, while the second gives us a history of Benardete’s philosophy. In addition, the second arc brings The Eccentric Core full circle, as the reviews of such retrospective and, in the latter two cases, posthumous works as The Argument of the Action, Encounters and Reflections, and The Archaeology of the Soul necessarily drift into the sort of personal recollections that we find in the volume’s opening chapter. We are thus invited to consider the connection between a man and his works, between his particular existence and the truths of the tradition he uncovered and conveyed, between his development and that of the history of political philosophy. By what procedure, we wonder, may a particular man uncover a general truth? The bits and pieces of the good that show up in opinion are not as bits and pieces what they are in the whole truly articulated by mind. These bits and pieces are the speeches or opinions of things to which Socrates has recourse after the possibility of looking at things directly has foundered on the problem of causality. 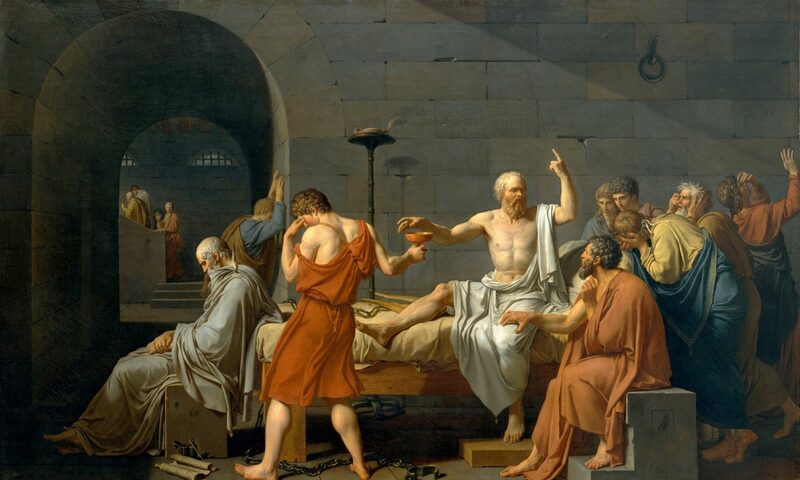 These fragmentary speeches parade as wholes or eidē (Statesman 262a5–263b11), and Socrates saw it as the proper task of philosophy to proceed from them to the true eidē. I call this procedure eidetic analysis.